New facility to feature 20,000-square-feet of space intended to be utilized for private functions and provide an added benefit to patrons on event days. Patrons visiting Gillette Stadium in 2015 will notice several new looks as the stadium implements major upgrades to enhance the guest experience. 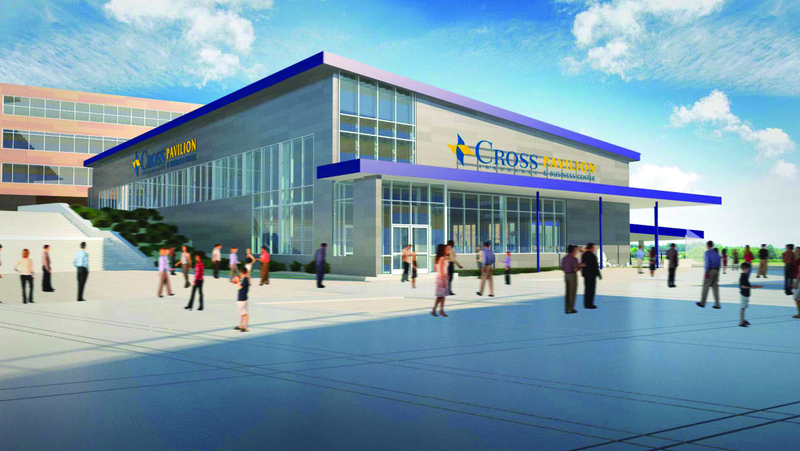 Among the highlights is the Cross Insurance Pavilion and Business Center – a new function facility offering rentable space year-round and perfect for business meetings, trade shows, proms, dinners and cocktail receptions. Scheduled to open this summer, the 20,000-square-foot facility is located inside the Bank of America gate of Gillette Stadium and connected to the Northwest 100-level concourse. Features include a pre-function mezzanine area, outdoor terrace and access to the stadium’s 100-level concourse. Inside, guests will find HDTVs and AV capabilities. On event days, the pavilion and business center will be used as a hospitality location that complements the stadium’s existing clubs and field house by providing a reception-style environment for guests. Cross Insurance, a family-owned insurance agency founded in 1954, has grown into northern New England’s largest independent insurance provider and now operates more than 30 offices across Maine, New Hampshire, Rhode Island, Connecticut and Massachusetts.